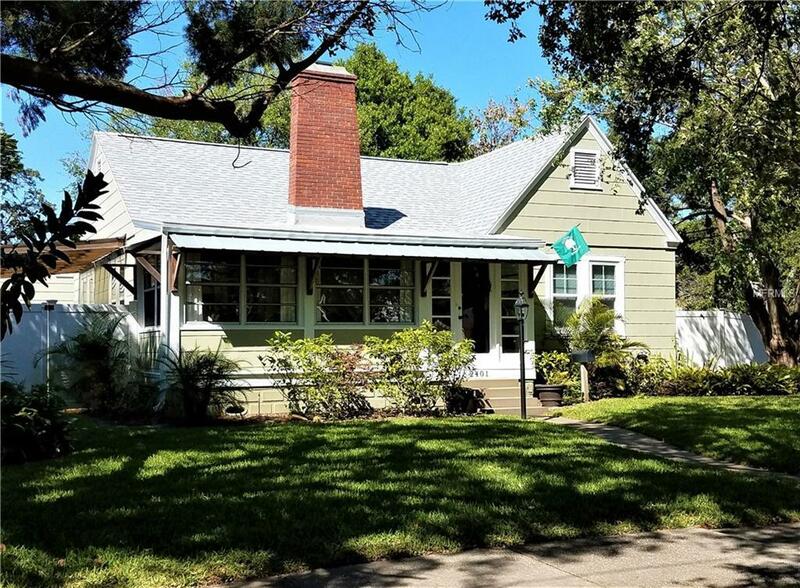 Eye catching, updated bungalow home sits on a spacious corner lot located in the beautiful brick streets of Historic Kenwood. The open floor plan creates an easy living space (great for entertaining!) paying homage to the old with beautiful original oak hardwood floors, a wood burning fireplace, curved archways and authentic, windowed, french doors. The home celebrates the new with an updated kitchen offering granite counters, newer appliances and wood cabinetry with soft close drawers, a newer roof, and additional upgrades of windows, air conditioning, water heater, and even a newer over-sized two car garage which was built in 2009! The lawn, irrigation and 6ft pvc fencing have all been added in the past year. Enjoy the generous, private back yard where you'll find both open and covered deck areas for dining or relaxing, a fire pit and plenty of clear space to enjoy hanging in the sun, growing a garden or maybe play outdoor games. Convenient to the shops, museums, restaurants and activities of downtown and Grand Central St Petersburg; and a short drive to the beach this home has it all...plus it's high and dry - no flood insurance!